Queen's Supermileage (QSM) is a student-run design team that aims to shape the future of fuel consumption. Thank you for visiting our giving page. Operating within the Engineering Society at Queen’s University, we pride ourselves in being a cross-faculty initiative that encourages students to put their technical knowledge, creativity, and passion towards the procurement of innovative solutions with the goal of optimizing fuel efficiency. 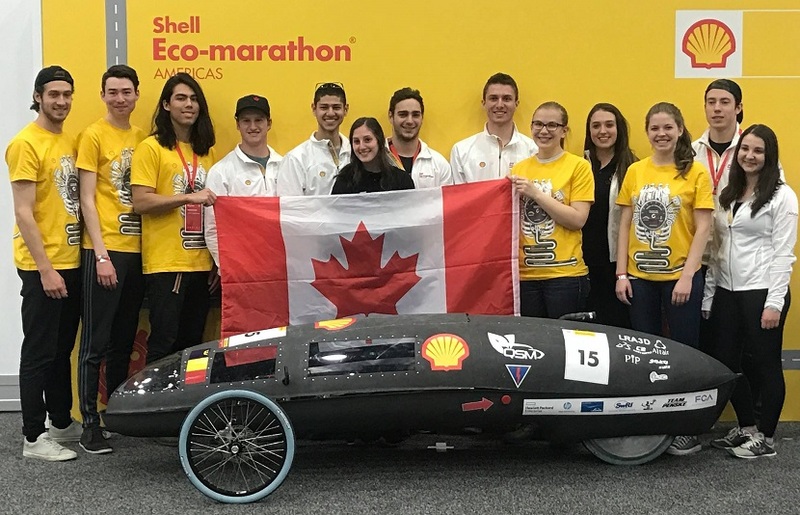 Through the design and manufacture of a prototype car, while utilizing gasoline as the established energy source, we strive to obtain mileage in excess of 1000 miles per gallon at the annual Shell Eco Marathon Americas. Queen’s Supermileage is a proud supporter of academia at Queen’s, and collaborates closely with the Faculty of Applied Science and Engineering and the Department of Mechanical and Materials Engineering to provide students with supplementary learning for their in-class studies. With your support, QSM will continue to provide an outlet for the innovators and experiential learners while improving our vehicle’s performance and design to ensure our attendance at the Shell Eco Marathon Americas. Please help us reach this global stage to represent Queen’s University with pride by making a gift today.